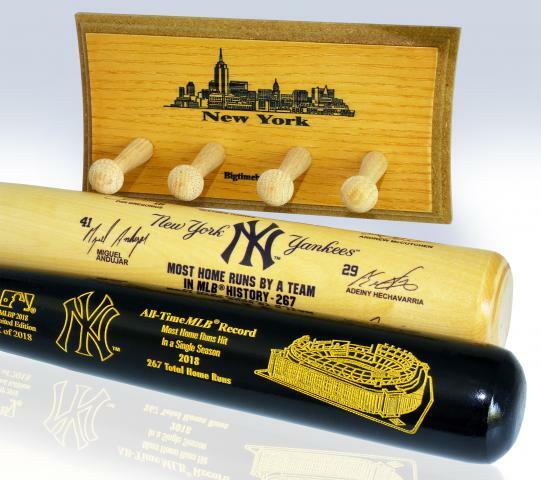 This is a very unique two bat set that every Yankees fan will love to have! 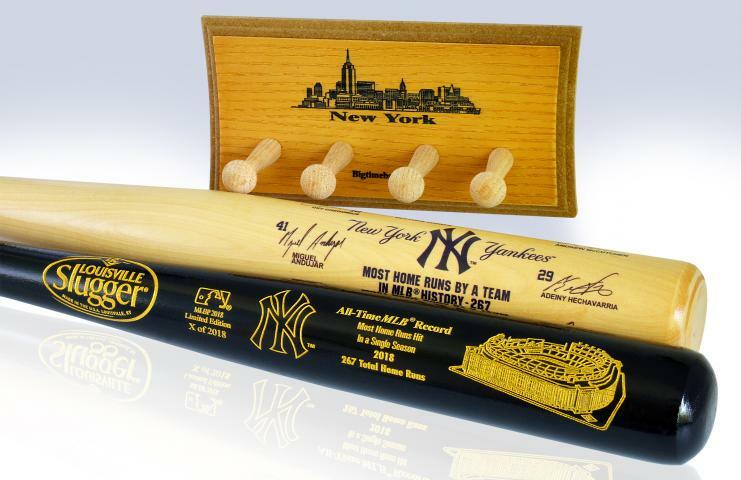 The set features one (1) NY Yankees All-Time MLB Home Run Record Roster Bat, one (1) 2018 Yankees Home Run Record Team Signature Bat, and (1) New York Skyline two bat display rack. Due to the limited nature of his offer we must charge your credit card for the full price immediately upon taking your order. This policy ensure we reserve a bat set for you. We will confirm your order by email. These bats are not game used. 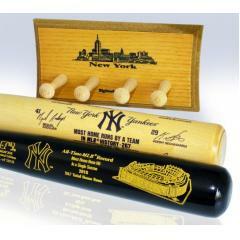 Each bat is officially licensed by both MLB and MLBPA. Please allow 4 to 6 weeks for delivery.